Background: Five-year overall survival (OS) for patients with stage IV non-small cell lung cancer (NSCLC) is a dismal 1%. However, approximately 7% have limited or solitary metastases, including to the adrenal gland. Radical treatment of these oligometastases (OM) could increase local control and improve OS. Our objective was to critically analyze data describing aggressive treatment of adrenal OM secondary to NSCLC. 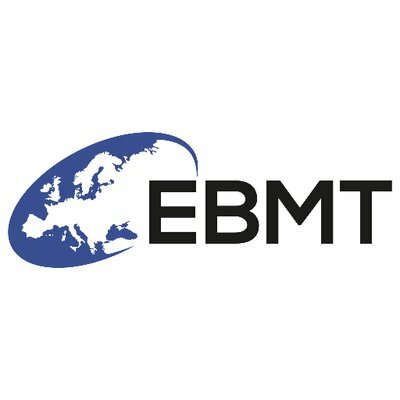 Methods: A literature search examining English publications describing surgery or radiotherapy (RT) was performed, supplemented by searching reference lists. Case reports of three or fewer patients, and articles from which NSCLC- or adrenal-specific clinical outcomes could not be abstracted, were excluded. Results: Twenty-nine studies met eligibility criteria (521 patients), 26 retrospective. No publications directly compare modalities. Four surgery studies described contemporaneous patients treated with palliative chemotherapy (CH) alone. Reported median OS ranged from 9.5–64 months after adrenalectomy, 8–23 months after RT, and 6–8.5 months after CH. Local failure after surgery was 14%, with response rates after RT 57–75%. Both appear well-tolerated. Conclusions: In patients with an adrenal OM secondary to NSCLC, aggressive treatment should be considered. However, due to the paucity of high quality evidence, it is unclear at present whether this approach alters the natural history of the disease. Bryce Thomsen and Alysa Fairchild have nothing to declare in relation to this article. No funding was received for the publication of this article. The adrenal gland is one of the common sites of metastases from NSCLC, with 30–60% harboring such lesions at autopsy.3 Four to ten percent of patients with otherwise operable NSCLC will have a unilateral adrenal mass;12–17 up to half of these are malignant (0.4–3.5%).18–22 In this highly selected subset of patients, there may be a window when local therapy to all known metastases, including an adrenal metastasis (AM), confers benefits over a palliative approach.10,23 The objective of this review was to analyze the literature describing aggressive treatment of AM (solitary or as a component of an oligometastatic presentation) secondary to NSCLC. 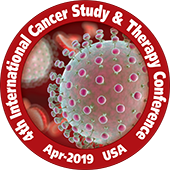 A literature search was undertaken including keywords “non-small cell lung cancer”, “treatment”, “radiotherapy”, “surgery”, “neoplasm metastasis/” or “oligometastases”, and “adrenal” (Appendix 1). The search was limited to English language publications (1997–2017), and pathologic confirmation of NSCLC primary was preferred. Studies which included adrenal OM from different primary sites and/or OM from different locations were included if outcomes relevant to our objective could be extracted. Those comparing the results of aggressive local treatment to palliative treatment were eligible. Articles were excluded if no NSCLC or adrenal OM-specific clinical outcomes were described, or case reports describing fewer than four patients, to minimize publication and reporting bias (Appendix 2). Eighty-four articles initially identified underwent evaluation and review of reference lists for further potential inclusions. 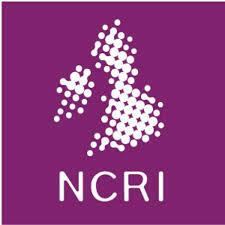 Twenty-nine reporting treatment outcomes after either surgical resection (n=23, published 1990–2015, 464 patients) or RT (n=6, published 2008–2014, 57 patients) met eligibility criteria. 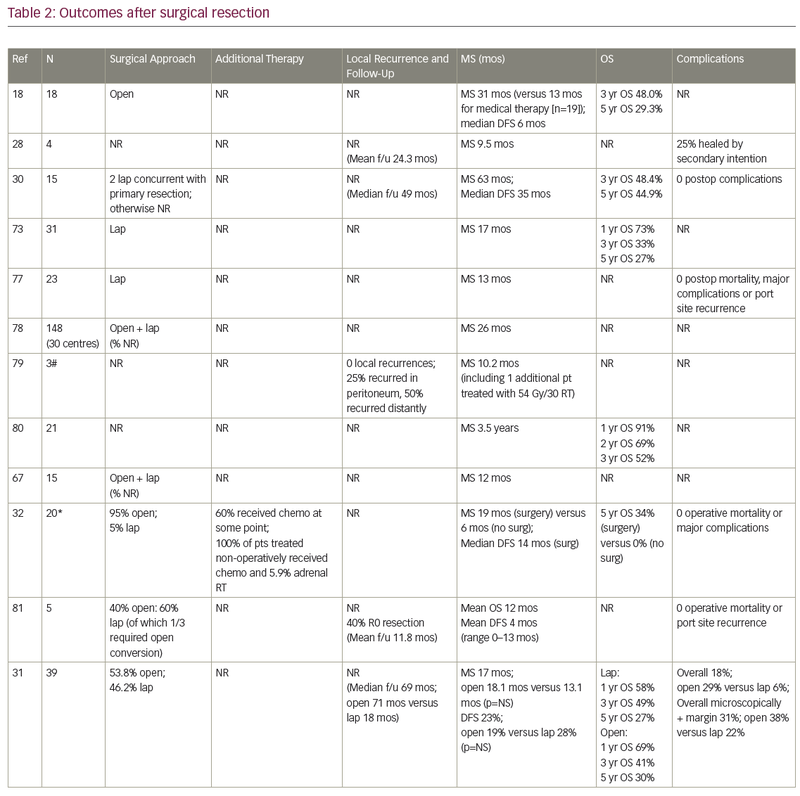 Surgery studies included one phase II single arm trial and 22 retrospective reviews (two multicenter; Tables 1–3). RT studies included one phase II single arm, four retrospective reviews, and one not specified (Tables 4–5). There are no published studies directly comparing these two modalities, but four compared outcomes after surgery to contemporaneous cohorts treated with palliative chemotherapy. Average sample size was 20.2 (range 4–148) for surgery series, and 9.3 (range 4–18) for RT publications. The mean age for patients undergoing adrenalectomy ranged from 43.3–67.5 years (Table 1). With one exception, series were predominantly male. Twelve of the 23 studies required the AM to be the only site of distant spread, while three others allowed extra-adrenal disease if it could also be approached radically, such as resection +/- postoperative RT for brain metastases. Many groups did not specify intrathoracic T stage, and nodal stage varied: some groups excluded LN positive patients altogether,20,24 while the proportion of N2 disease in series where it was permitted varied from 14.3–70.8%.21,25–26 Pathologic confirmation of AM was more commonly performed in early publications, while positron emission tomography (PET) staging became routine later. Mean/median AM sizes ranged from 3.5–8.4 cm, with the largest reported resected 18 cm. Where data were available, on average 49% arose from the right, and 50% from the side ipsilateral to the primary. An average of 64.2% patients presented with synchronous AM, most commonly defined as discovered within 6 months of NSCLC diagnosis. MS after surgical resection ranged from 9.5–63 months (n=16 studies), and median disease-free survival ranged from 4–35 months (n=8; Table 2). Reported 1-year OS ranged from 63.5–91% (n=3), 2-year OS 29–69% (n=3), 3-year OS 14–52% (n=7), and 5-year OS 23–45% (n=6). Plönes et al. found significantly different median survival (MS) for NSCLC patients by location of OM: 23.4 months for soft tissue metastases, 16.7 months for brain, 9.5 months for AM, and 4.3 months for bone metastases (p<0.005).28 Local relapse (LR) occurred on average in 14% (n=8; range 0–25%), with one additional study describing no LR after R0/R1 resections, but 11% local progression after an R2 resection.29 LRs have been associated with capsular invasion26 and intraoperative tumor rupture,30 but not particularly impacted by postoperative RT.26 Surgical complications and postoperative mortality are uncommonly described (Table 2). Table 3 outlines statistically significant prognostic factors for OS and disease-free survival abstracted from surgical series. Total doses ranged from 25–60 Gy, delivered over 1–27 fractions. 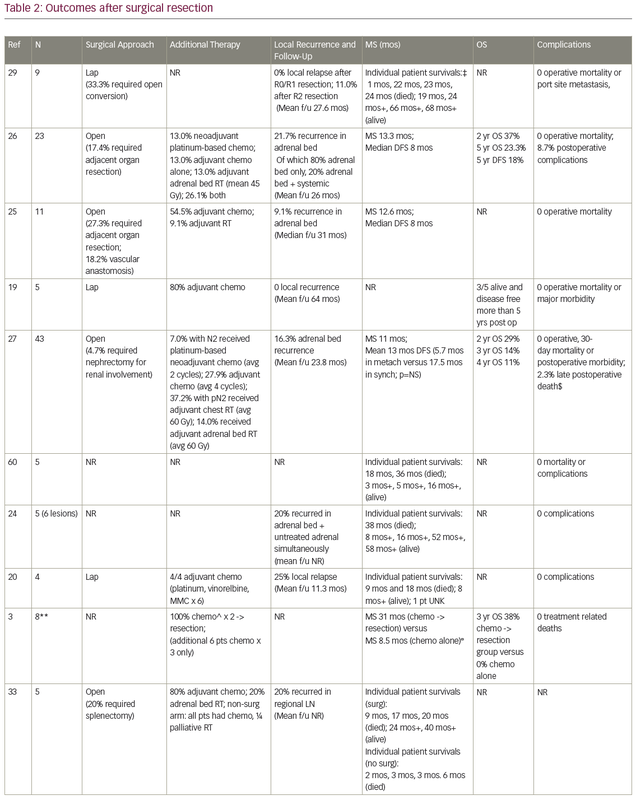 While biologically equivalent dose (BED) is an unconfirmed method of converting different SBRT dose schedules,35,45 it was utilized for ease of comparison (Table 5). Crude mean BED was 65.2 Gy10 (range 37.5–83.4 Gy10), roughly equivalent to an SBRT schedule of 37.5 Gy/5 fractions. Complete response (CR) was reported as 28.6%, 50%, and 66.7% (n=3 studies with data); partial response (PR) was 25% and 28.6% (n=2), and stable disease (SD) was 25%, 33.3%, and 35.7% (n=3). Objective response rate (ORR; CR+PR) was 75% 2 months after treatment completion,42 67% at 5 months,37 and 57% at 6 months.12 Crude average local recurrence was 14.5% after RT. Survival was actually uncommonly reported, with mean survivals of 19–20 months and MS of 21 months. Only one study described 1- and 2-year OS (Table 5). There was no reported acute or late grade >3 treatment-related toxicity, and no RT-induced adrenal or renal insufficiency. There is no randomized evidence supporting the use of any AM-directed therapy, and no prospective studies directly comparing surgery and SBRT. Limitations of the available data are excellently summarized by Gunjur et al., authors of one of four previous systematic reviews.35 Three of these four papers were restricted to surgical results in lung cancer,48–50 with Gunjur and colleagues analyzing surgery (n=30 studies) and ablative RT (n=9) for adrenal OM from all primary tumor sites.35 Gunjur et al. reported a weighted 2-year OS of 46% for adrenalectomy versus 19% for SBRT, and 2-year local control (LC) of 84% versus 63% respectively.35 Two-year OS after surgery in Gao et al.’s pooled analysis was 40.5%, and 5-year OS was 28.2% (n=98 patients).48 Tanvetyanon et al. described 25% 5-year OS (n=10 studies; 114 patients),49 while Beitler et al. reported approximately one-third of patients as five-year survivors.50 Table 6 contrasts our results with historical survival and symptom palliation rates for widely metastatic stage IV NSCLC. The better than expected outcomes after treatment of OM may reflect selection of patients with less bulky, slow-growing tumors, good PS, and low overall burden of disease, rather than the effects of aggressive treatment (Table 7).23,51 The relatively poor results of RT in comparison with surgery may also be attributed to differences in patient selection.44 In the surgical literature, the majority of patients have metastases confined to the adrenal or have extra-adrenal OM which have also been aggressively treated; have usually had their primary disease resected; must be technically resectable; and medically operable.44 For example, in Raz et al., all patients managed non-operatively for their, apparently solitary, AM had also been managed non-operatively in the lung.32 Case mix in terms of potential prognostic factors, such as intrathoracic (especially nodal) stage, treatment and status of primary disease, disease-free interval (DFI), PS, expected lifespan, and extra-adrenal metastatic load, are also dissimilar between patients treated with RT and surgery. In terms of treatment, some surgical studies included patients with microscopic margin positivity and/or gross residual disease (R2), while these were excluded by others. RT dose-fractionation schedule varied significantly, with adjuvant and neoadjuvant therapy only briefly described. Early RT is not technologically equivalent to modern treatment; for example, neither cone beam CT nor 4D simulation scans were utilized in early publications. Follow-up and imaging protocols vary widely. Adverse event reporting, especially the late effects of RT, is confounded by competing risks of local progression, distant metastases, death and comorbidity, as well as by subsequent therapy. There are no available QOL data. Patient selection criteria for aggressive therapy of an adrenal oligometastasis are summarized in Table 7. 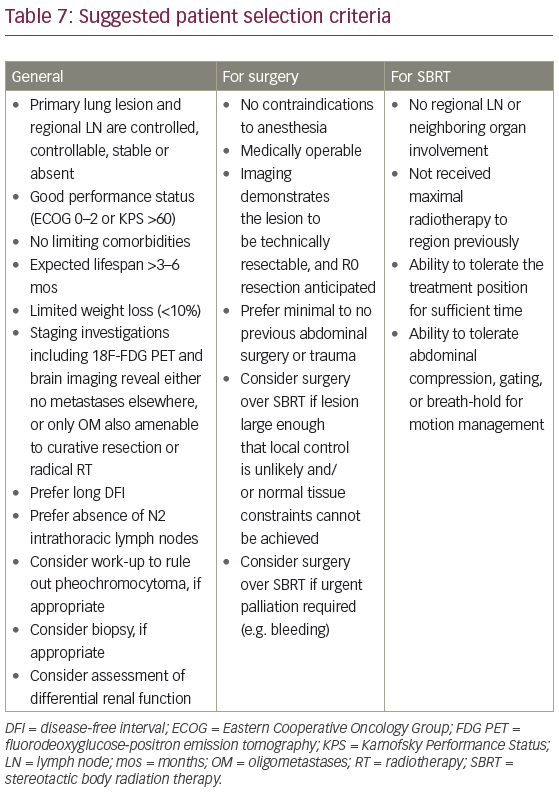 Surgical resection remains the gold standard, given the large body of data – albeit retrospective – with longer follow up.42 In unresectable or medically inoperable patients, however, SBRT should be considered in experienced centres.35 Survival rates for this highly selected subset of patients compare favorably to both historic controls and to curatively treated unresectable stage III NSCLC patients in the modern era. Adjuvant systemic therapy should be considered for patients with good functional status to address micrometastatic disease,33,50,71,75 acknowledging that the optimal duration is not defined and the level of supporting evidence is weak. There are insufficient data to support routine postoperative adrenal bed RT at present, although it may be reasonable for R1/R2 resections. In patients with an isolated or oligometastatic adrenal lesion secondary to NSCLC, aggressive treatment should be pursued in appropriate patients, if congruent with their wishes. However, it must be acknowledged that it is unclear whether resection or RT in this setting alters the natural history of the disease. Median survival of up to 63 months after surgery and 21 months after SBRT has been reported, with half to one third of patients surviving five years. It is difficult to discern the potential benefit of neo/adjuvant or concurrent systemic therapy and postoperative adrenal bed RT from the data available. Patients being considered for therapy for an isolated AM should be referred in a timely manner, given that early intervention is likely associated with decreased morbidity. Torre LA, Siegel RL, Jemal A, Lung cancer statistics, Adv Exp Med Biol, 2016;893:1–19. Ramalingam S, Belani C, Systemic chemotherapy for advanced non-small cell lung cancer: Recent advances and future directions, The Oncologist, 2008;13(suppl 1):5–13. Luketich JD, Burt M, Does resection of adrenal metastases from non-small cell lung cancer improve survival?, Ann Thorac Surg, 1996;62:1614–6. American Cancer Society. Available at: www.cancer.org/cancer/non-small-cell-lung-cancer/detection-diagnosis-staging/survival-rates.html (accessed November 2, 2017). Hellman S, Weichselbaum R, Oligometastases, J Clin Oncol, 1995;13:8–10. Ashworth AB, Senan S, Palma DA, et al., An individual patient data metaanalysis of outcomes and prognostic factors after treatment of oligometastatic non-small-cell lung cancer, Clin Lung Cancer, 2014;15:346–55. 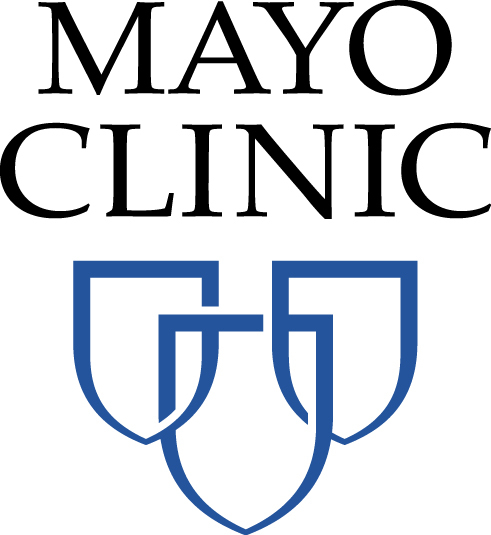 Albain K, Crowley J, LeBlanc M, Livingston RB, Survival determinants in extensive stage non-small cell lung cancer: The Southwest Oncology Group experience, J Clin Oncol, 1991;9:1618–26. 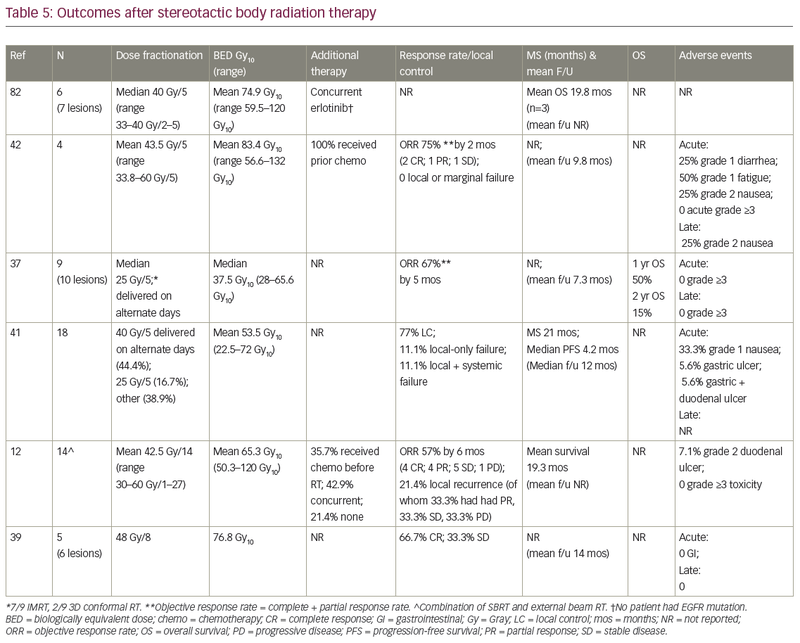 Tree A, Khoo V, Eeles R, et al., Stereotactic body radiotherapy for oligometastases, Lancet Oncol, 2013;14:E28–37. Niibe Y, Hayakawa K, Oligometastases and oligo-recurrence: The new era of cancer therapy, Jpn J Clin Oncol, 2010;40:107–11. Chawla S, Chen Y, Katz AW, et al., Stereotactic body radiotherapy for treatment of adrenal metastases, Int J Radiat Oncol Biol Phys, 2009;75:71–5. Lester-Coll NH, Decker RH, The role of stereotactic body radiation therapy in the management of oligometastatic lung cancer, Lung Cancer Manag, 2015;4:145–53. Oshiro Y, Takeda Y, Hirano S, et al., Role of radiotherapy for local control of asymptomatic adrenal metastasis from lung cancer, Am J Clin Oncol, 2011;34:249–53. Burt M, Heelan R, Coit D, et al., Prospective evaluation of unilateral adrenal masses in patients with operable non-small cell lung cancer: Impact of magnetic resonance imaging, J Thorac Cardiovasc Surg, 1994;107:584–8. Allard P, Yankaskas BC, Fletcher RH, et al., Sensitivity and specificity of computed tomography for the detection of adrenal metastatic lesions among 91 autopsied lung cancer patients, Cancer, 1990;66:457–62. Nielsen M, Heaston D, Dunnick N, Korobkin M, Preoperative CT evaluation of adrenal glands in non-small cell bronchogenic carcinoma, AJR, 1982;139:317–20. Sandler M, Paerlberg J, Madrazo B, et al., Computed tomographic evaluation of the adrenal gland in the preoperative assessment of bronchogenic carcinoma, Radiol, 1982;145:733–6. Mathews MJ, Kanhouwa S, Pickren J, Robinette D, Frequency of residual and metastatic tumour in patients undergoing curative resection of lung cancer, Cancer Chemother Rep, 1973;4:63–7. Barone M, Di D, Giuseppe N, Pierpaolo C, Oligometastatic non-small cell lung cancer (NSCLC): adrenal metastases: Experience in a single institution, Updates Surg, 2015;67:383–7. Ambrogi V, Tonini G, Mineo T, Prolonged survival after extracranial metastatectomy from synchronous resectable lung cancer, Ann Surg Oncol, 2001;8:663–6. Bendinelli C, Lucchi M, Buccianti P, et al., Adrenal masses in non-small cell lung carcinoma patients: Is there any role for laparoscopic procedures?, J Lap Adv Surg Tech, 1998;8:119–24. Porte H, Roumilhac D, Graziana JP, et al., Adrenalectomy for a solitary adrenal metastases from lung cancer, Ann Thoracic Surg, 1998;65:331–5. 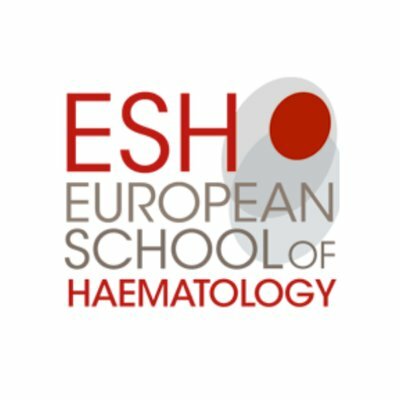 Ettinghausen S, Burt M, Prospective evaluation of unilateral adrenal masses in patients with operable non-small cell lung cancer, J Clin Oncol, 1991;9:1462–6. Hasselle M, Haraf D, Rusthoven K, et al., Hypofractionated image-guided radiation therapy for patients with limited volume metastatic non-small cell lung cancer, J Thorac Oncol, 2012;7:376–81. Bretcha-Boix P, Rami-Porta R, Mateu-Navarro M, et al., Surgical treatment of lung cancer with adrenal metastasis, Lung Cancer, 2000;27:101–5. Pfannschmidt J, Schlolaut B, Muley T, et al., Adrenalectomy for solitary adrenal metastases from non-small cell lung cancer, Lung Cancer, 2005;49:203–7. Mercier O, Fadel E, De Perrot M, et al., Surgical treatment of solitary adrenal metastasis from non-small cell lung cancer, J Thorac Cardiovasc Surg, 2005;130:136–40. 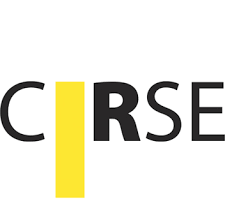 Porte H, Siat J, Guibert B, Resection of adrenal metastases from non-small cell lung cancer: a multicenter study, Ann Thorac Surg, 2001;71:981–5. Plönes T, Osei-Agyemang T, Krohn A, Passlick B, Surgical treatment of extrapulmonary oligometastatic non-small cell lung cancer, Indian J Surg, 2015;77(Suppl 2):S216–220. Sebag F, Calzolari C, Harding J, et al., Isolated adrenal metastasis: The role of laparoscopic surgery, World J Surg, 2006;30:888–92. Solaini L, Ministrini S, Tomasoni M, et al., Adrenalectomy for metastasis: long-term results and predictors of survival, Endocrine, 2015;50:187–92. Strong V, D’Angelica M, Tang L, et al., Laparoscopic adrenalectomy for isolated adrenal metastasis, Ann Surg Oncol, 2007;14:3392–400. Raz DJ, Lanuti M, Gaissert HC, et al., Outcomes of patients with isolated adrenal metastasis from non-small cell lung carcinoma, Ann Thorac Surg, 2011;92:1788–93. Higashiyama M, Doi O, Kodama K, et al., Surgical treatment of adrenal metastasis following pulmonary resection for lung cancer: comparison of adrenalectomy with palliative therapy, Int Surg, 1994;79:124–9. Milgrom S, Goodman K, The role of radiation therapy in the management of adrenal carcinoma and adrenal metastases, J Surg Oncol, 2012;106:647–50. 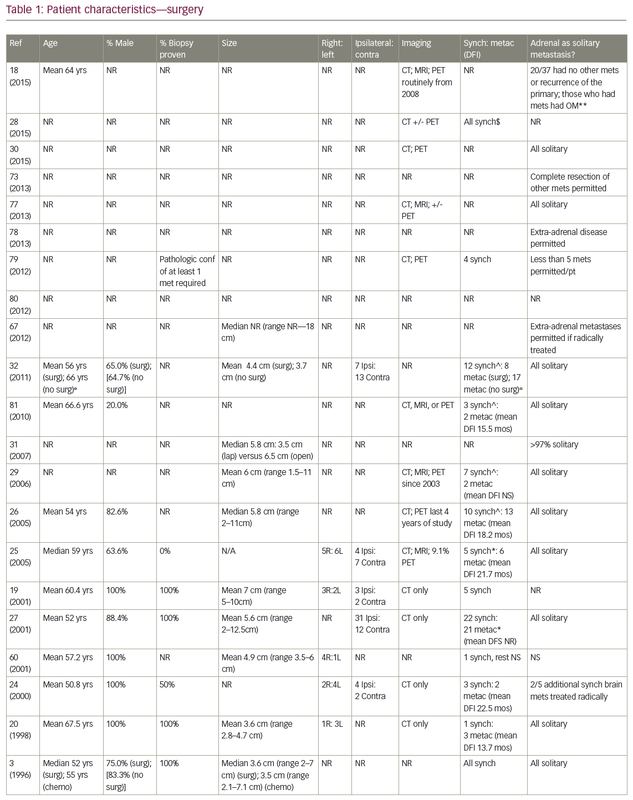 Gunjur A, Duong C, Ball D, Siva S, Surgical and ablative therapies for the management of adrenal oligometastases: A systematic review, Cancer Treat Rev, 2014;40:838–46. Cheruvu P, Metcalfe S, Metcalfe J, et al., Comparison of outcomes in patients with stage III versus limited stage IV non-small cell lung cancer, Radiat Oncol, 2011;6:80. Guiou M, Mayr NA, Kim EY, et al., Stereotactic body radiotherapy for adrenal metastases from lung cancer, J Radiat Oncol, 2012;1:155–63. Scorsetti M, Alongi F, Filippi A, et al., Long-term local control achieved after hypofractionated stereotactic body radiotherapy for adrenal gland metastases: A retrospective analysis of 34 patients, Acta Oncol, 2012;51:618–23. Katoh N, Onimaru R, Sakuhara Y, et al., Real-time tumour-tracking radiotherapy for adrenal tumours, Radiother Oncol, 2008;87:418–24. Casamassima F, Livi L, Masciullo S, et al., Stereotactic radiotherapy for adrenal gland metastases: University of Florence experience, Int J Radiat Oncol Biol Phys, 2012;82:919–23. Holy R, Piroth M, Pinkawa M, Eble MJ, Stereotactic Body Radiation Therapy for treatment of adrenal gland metastases from non-small cell lung cancer, Strahlen Onkol, 2011;187:245–51. Ahmed K, Barney B, Macdonald K, et al., Stereotactic body radiotherapy in the treatment of adrenal metastases, Am J Clin Oncol, 2013;36:509–13. 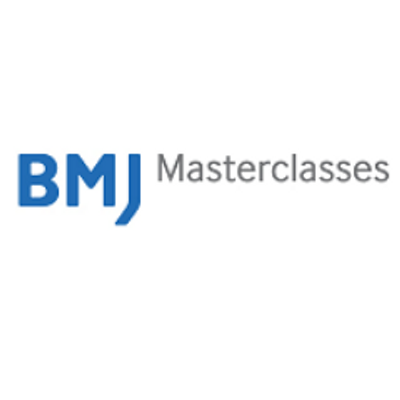 Barney B, Olivier K, Macdonald O, et al., Clinical outcomes and dosimetric considerations using stereotactic body radiotherapy for abdominopelvic tumours, Am J Clin Oncol, 2012;35:537–42. Torok J, Wegner RE, Burton SA, Heron DE, Stereotactic body radiation therapy for adrenal metastases: a retrospective review of a noninvasive therapeutic strategy, Futur Oncol, 2011;7:145–51. Marks L, Yorke E, Jackson A, et al., Use of normal tissue complication probability models in the clinic, Int J Radiat Oncol Biol Phys, 2010:76;S10–S19. Villaruz LC, Kubicek GJ, Socinski M, Management of non-small cell lung cancer with oligometastasis, Curr Oncol Rep, 2012;14:333–41. Spiro S, Rudd R, Souhami R, et al., Chemotherapy versus supportive care in advanced non-small cell lung cancer: Improved survival without detriment to quality of life, Thorax, 2004;59:828–36. Gao X-L, Zhang K-W, Tang M-B, et al., Pooled analysis for surgical treatment for isolated adrenal metastasis and non-small cell lung cancer, Interact Cardiovasc Thorac Surg, 2017;24:1–7. Tanvetyanon T, Robinson LA, Schell MJ, et al., Outcomes of adrenalectomy for isolated synchronous versus metachronous adrenal metastases in non-small-cell lung cancer: A systematic review and pooled analysis, J Clin Oncol, 2008;26:1142–7. Beitler A, Urschel J, Velagapudi S, Takita H, Surgical management of adrenal metastases from lung cancer, J Surg Oncol, 1998;69:54–7. 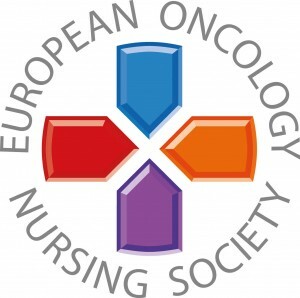 Griffioen G, Toguri D, Dahele M, et al., Radical treatment of synchronous oliogmetastatic non-small cell lung carcinoma: Patient outcomes and prognostic factors, Lung Cancer, 2013;82:95–102. Schwartz L, Ginsberg M, Burt M, et al., MRI as an alternative to CT-guided biopsy of adrenal masses in patients with lung cancer, Ann Thorac Surg, 1998;65:193–7. Reyes L, Parvez Z, Nemoto T, et al., Adrenalectomy for adrenal metastasis from Lung Carcinoma, J Surg Oncol, 1990;44:32–34. Uberoi J, Munver R, Surgical management of metastases to the adrenal gland: Open, laparoscopic, and ablative approaches, Curr Urol Rep, 2009;10:67–72. Kebebew E, Siperstein A, Clark O, Duh Q, Results of laparoscopic adrenalectomy for suspected and unsuspected malignant adrenal neoplasms, Arch Surg, 2002;137:948–53. Assalia A, Gagner M, Laparoscopic adrenalectomy, Brit J Surg, 2004;91:1259–74. Rau K, Liaw C, Chang C, Lee K, Successful surgical treatment of solitary adrenal metastases from non-small cell lung cancer: Case report, Chang Gung Med J, 1999;22:282–6. Sarela A, Murphy I, Coit D, et al., Metastatasis to the adrenal gland: The emerging role of laparoscopic surgery, Ann Surg Oncol, 2003;10:1191–6. Kirsch A, Oz M, Stoopler M, et al., Operative management of adrenal metastases from lung carcinoma, Urol, 1993;42:716–9. Valeri A, Borrelli A, Presenti L, et al., Adrenal masses in neoplastic patients, Surg Endosc, 2001;15:90–3. Karolyi P, Do adrenal metastases from lung cancer develop by lymphogenous or hematogenous route?, J Surg Oncol, 1990;43:154–6. Meyer K, Direct lymphatic connections from the lower lobes of the lung to the abdomen, J Thorac Surg, 1958; 35:726–33. Onuigbo W, Patterns of metastasis in lung cancer: A review, Cancer Res, 1961;21:1077–85. Chen B, Zhou M, Cappelli M, Wolf S, Port site, retroperitoneal and intra-abdominal recurrence after laparoscopic adrenalectomy for apparently isolated metastasis, J Urol, 2002; 168:2528–9. Tiberio G, Solaini L, Arru L, et al., Factors influencing outcomes in laparoscopic adrenal surgery, Langenbecks Arch Surg, 2013;398:735–43. Henniford B, Arca M, Walsh R, Gill I, Laparoscopic adrenalectomy for cancer, Sem Surg Oncol, 1999:16:293–306. Zerrweck C, Caiazzo R, Clerquin B, et al., Renal origin and size are independent predictors of survival after surgery for adrenal metastasis, Ann Surg Oncol, 2012;19:3621–6. Soffen E, Solin L, Rubenstein J, Hanks G, Palliative radiotherapy for symptomatic adrenal metastases, Cancer, 1990;65:1318–20. Short S, Chaturvedi A, Leslie M, Palliation of symptomatic adrenal gland metastases by radiotherapy, Clin Oncol, 1996;8:387–9. Lam KY, Lo CY, Metastatic tumours of the adrenal glands: A 30 year experience in a teaching hospital, Clin Endo, 2002;56:95–101. 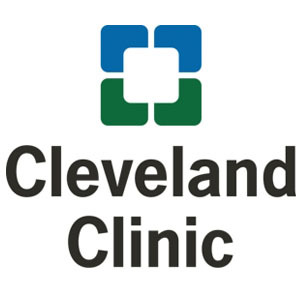 Kozower B, Larner J, Detterbeck F, Jones D, Special treatment issues in non-small cell lung cancer: Diagnosis and management of lung cancer, 3rd ed: American college of chest physicians evidence-based clinical practice guidelines, Chest, 2013;143(5 Suppl):369–99. Kim S, Brennan M, Russo P, et al., The role of surgery in the treatment of clinically isolated adrenal metastasis, Cancer, 1998;82:389–94. 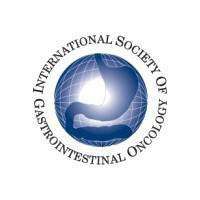 Howell G, Carty S, Armstrong M, et al., Outcome and prognostic factors after adrenalectomy for patients with distant adrenal metastases, Ann Surg Oncol, 2013;20:3491–6. Moinzadeh A, Gill I, Laparoscopic radical adrenalectomy for malignancy in 31 patients, J Urol, 2005;173:519–25. Abdel-Raheem MM, Potti A, Becker WK, et al., Late adrenal metastasis in operable non-small cell lung carcinoma, Am J Clin Oncol, 2002;25:81–3. 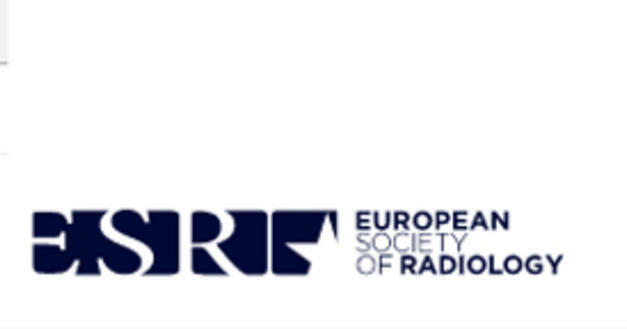 Onishi H, Shirato H, Nagata Y, et al., Hypofractionated stereotactic radiotherapy for stage I non-small cell lung cancer: Updated results of 257 patients in a Japanese multi-institutional study, J Thorac Oncol, 2007;2:S94–100. 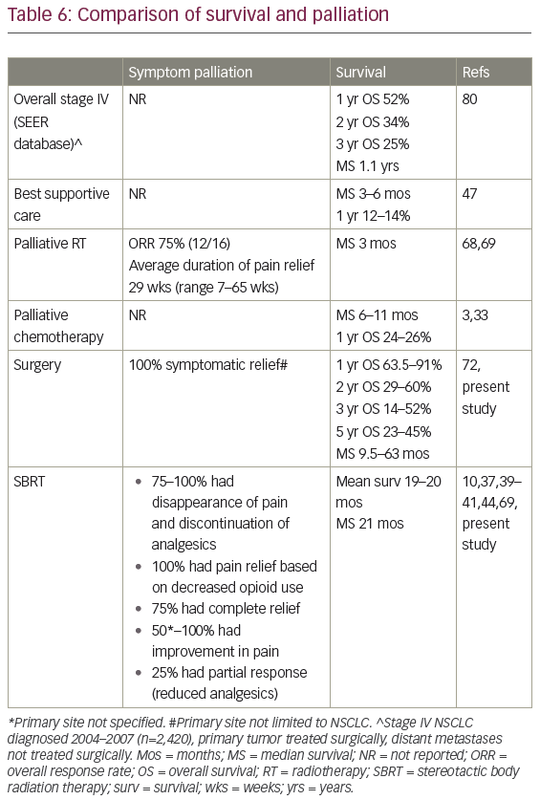 Ma X, Li H, Zhang X, et al., Modified anatomical retroperitoneoscopic adrenalectomy for adrenal metastatic tumour: Technique and survival analysis, Surg Endosc, 2013;27:992–9. 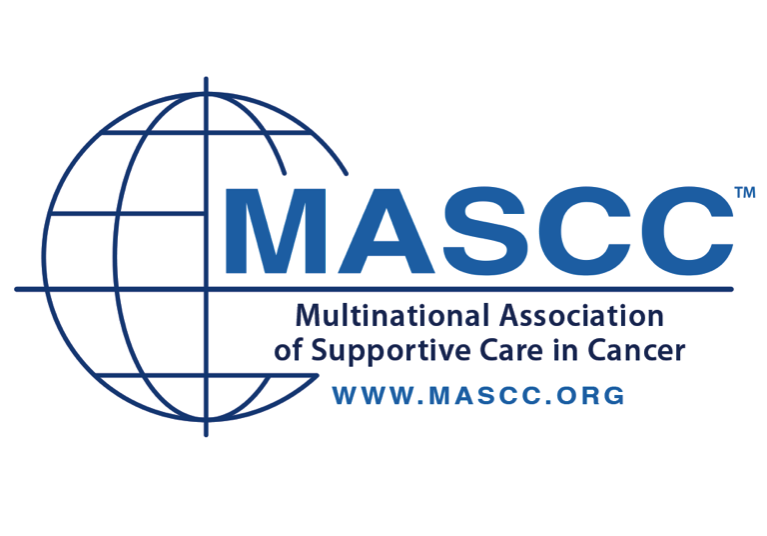 Moreno P, de la Quintana Basarrate A, Musholt T, et al., Adrenalectomy for solid tumour metastases: Results of a multicenter European study, Surg, 2013;154:1215–23. 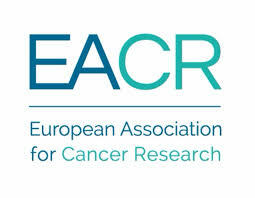 De Ruysscher D, Wanders R, van Baardwijk A, et al., Radical treatment of non-small cell lung cancer patients with synchronous oligometastases: Long term results of a prospective phase II trial, J Thorac Oncol, 2012;7:1547–55. Vazquez B, Richards M, Lohse C, et al., Adrenalectomy improves outcomes of selected patients with metastatic carcinoma, World J Surg, 2012;36:1400–5. 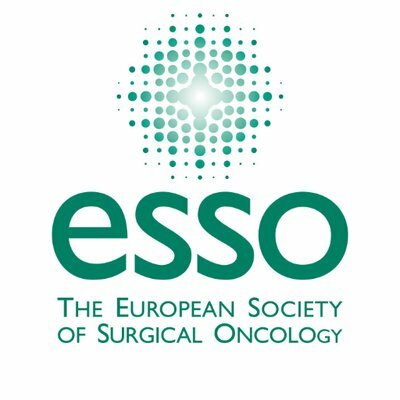 Muth A, Persson F, Jansson S, et al., Prognostic factors for survival after surgery for adrenal metastasis, Eur J Surg Oncol, 2010;36:699–704. 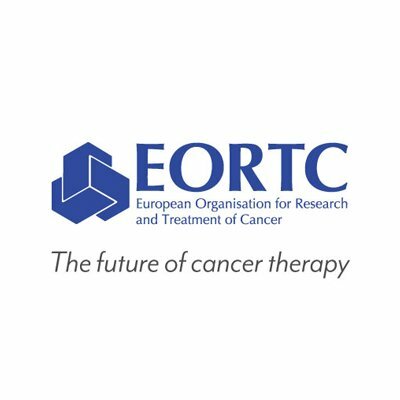 Iyengar P, Kavanagh B, Wardak Z, et al., Phase II trial of stereotactic body radiation therapy combined with erlotinib for patients with limited but progressive metastatic non-small cell lung cancer, J Clin Oncol, 2014;32:3824–30.